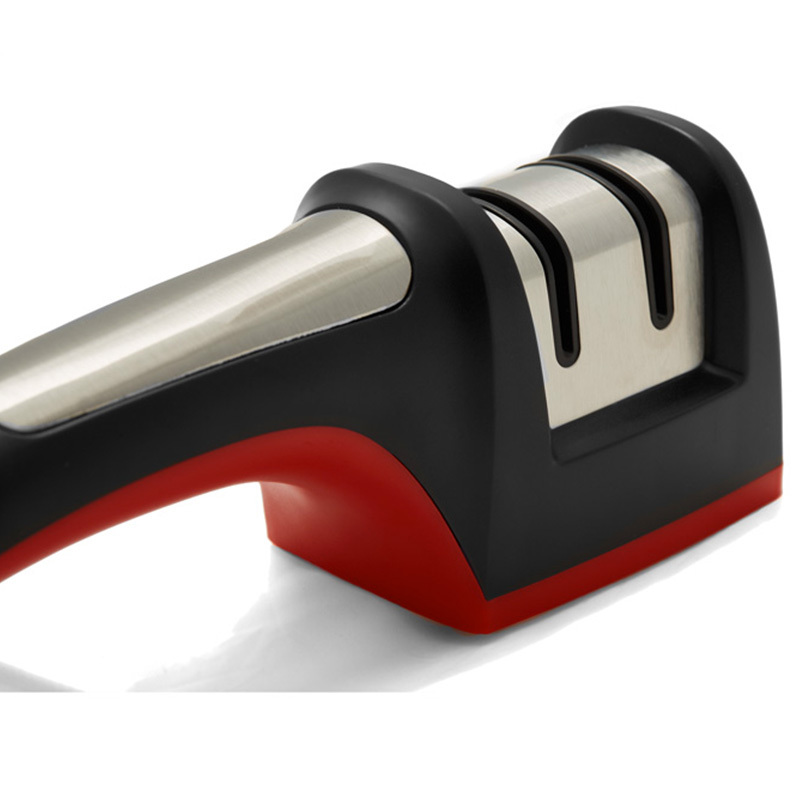 Sharpening your knives becomes something very easy with this 2-stage knife sharpener. It is designed to securely sit on a countertop. Stage 1 prepares the knife for the sharpening of a blunt blade and stage 2 creates, an edge of exceptional and original sharpness. 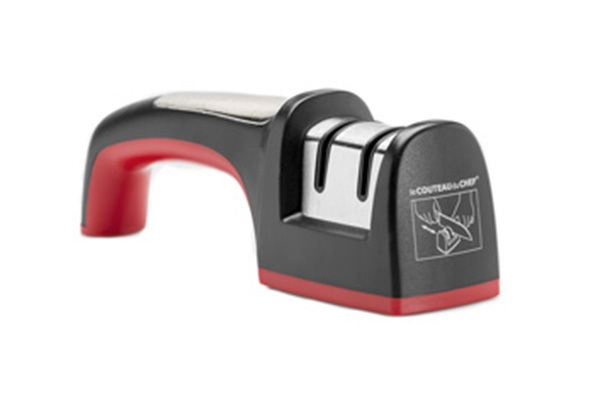 To guarantee maximum security, the use of this 2-stage knife sharpener is very easy. It is very safe; simply gently press down your knife while pulling towards you until optimal sharpness is achieved. 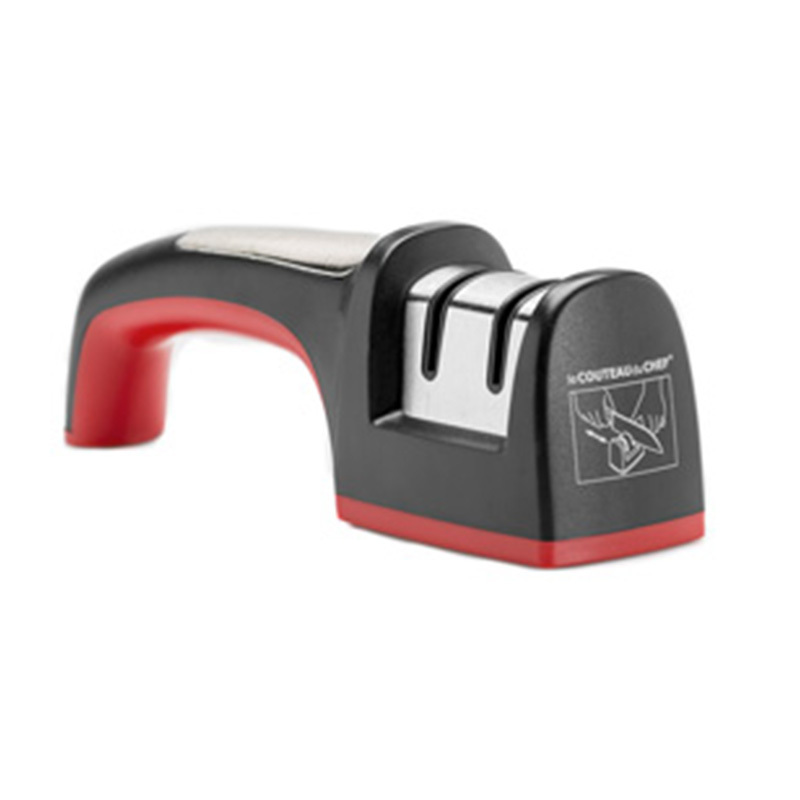 Sharpening becomes effortless! 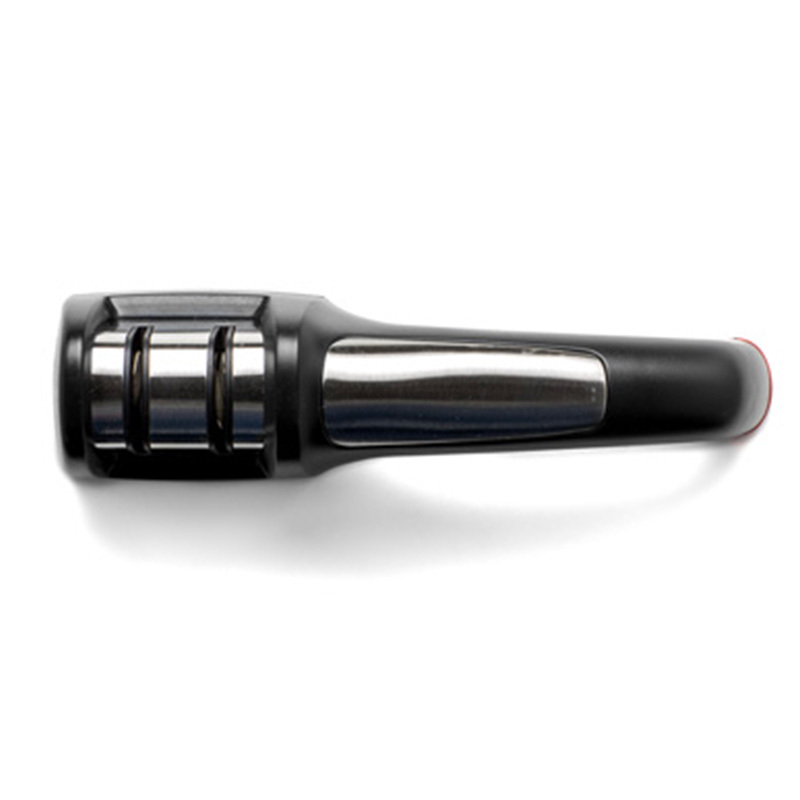 In addition, the ergonomic handle offers maximum safety and easy use.